True mapping ecstasy. National Archives in Krakow updates their on-line database and makes scans of 1652 cadaster maps publicly available! 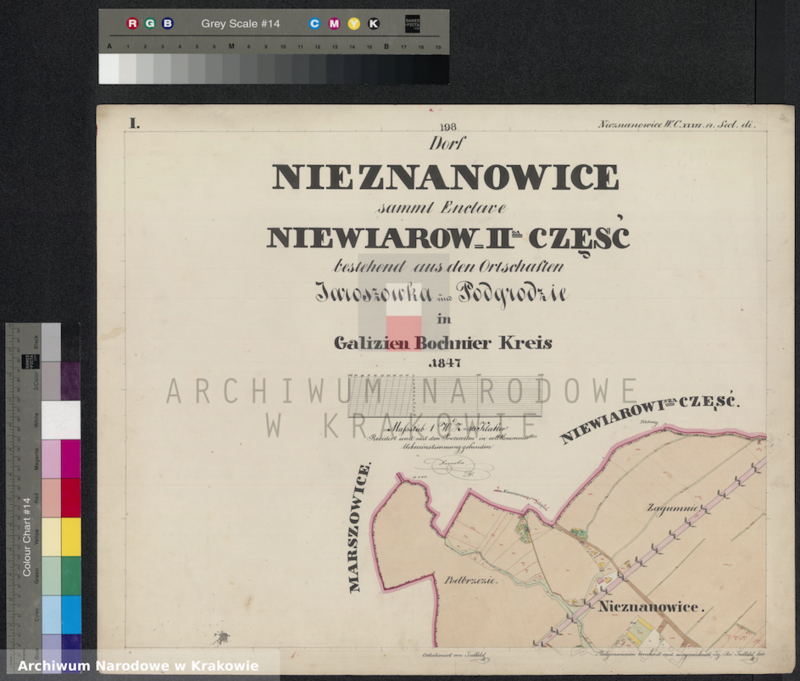 This remarkable silent update brings digital copies of all available at the Krakow archives extremely detailed (unstitched) cadaster maps from Bochnia, Brzesko, Chrzanów, Dębica, Jasło, Jaworzno, Kolomyia, Kraków regions. Almost half (856) of the digitalised part of the collection includes from the Krakow region. Scans from other regions will be uploaded gradually next year. In the meantime Jewish Family Search is working on the ultimate catalog of the Galician Cadaster, currently distributed between more than 10 archives and other state institutions in Poland and Ukraine. The on-line collection includes only small percentage of the original collection, once held entirely in cadaster archive in Lviv. If you’d like to learn whether a map or property owner list for your town survived in any Polish or Ukrainian archive and access it, just write us.